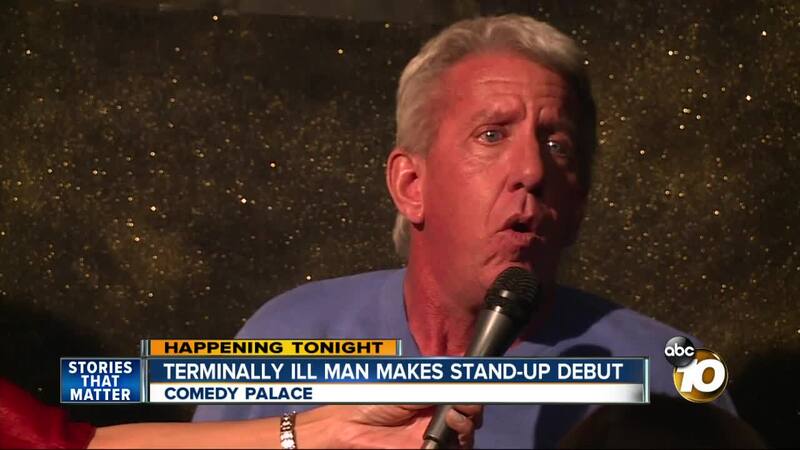 SAN DIEGO (KGTV) - It's a nervewracking place: on stage, behind the mic, looking out at a sea of people waiting for your punch line. 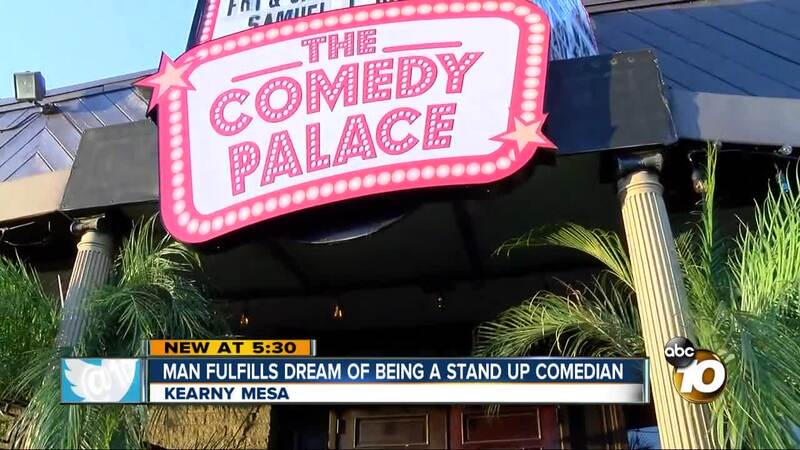 The Comedy Palace in Kearny Mesa sees many comedians but not like the one who performed Friday night. "If not now, when," Schmid said. Three years ago, he was diagnosed with primary lateral sclerosis, a condition similar to ALS. "The most difficult thing I ever had to do in my life was to talk to my children about ending my life." "My initial response was 'We're going to make this happen,'" said Lisa Alvarado. "I want my friends and family to have at least that memory when I'm gone," Schmid said. "Do not just give up where you're at...always strive and reach for something else." "Even if it is the end of your life, you can be more than you are right now."